Online Applications are invited for TS EAMCET 2019 Telangana State Engineering, Agriculture & Medical Common Entrance Test. Engineering, Agriculture & Medical (Pharmacy,Veterinary etc.,) Common Entrance Test (TS EAMCET) is conducted by Jawaharlal Nehru Technological University Hyderabad on behalf of TSCHE.This examination is the prerequisite for admission into various professional courses offered in University/ Private Colleges in the state of Telangana for the academic year 2019-2020. 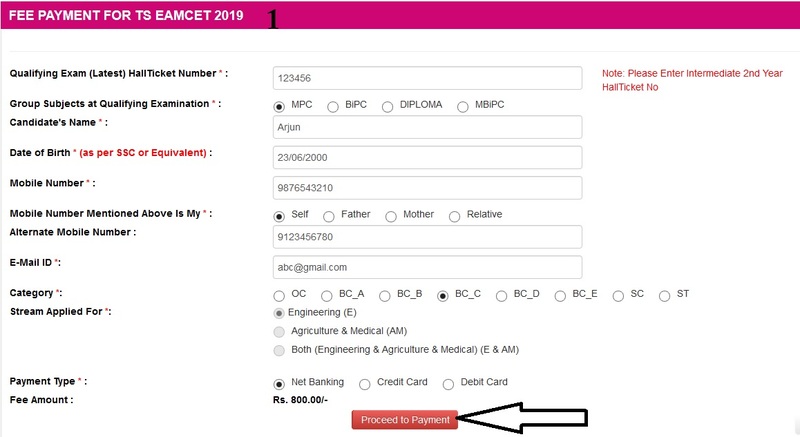 The following are the Steps for in filling the TS EAMCET 2019 Online Application. 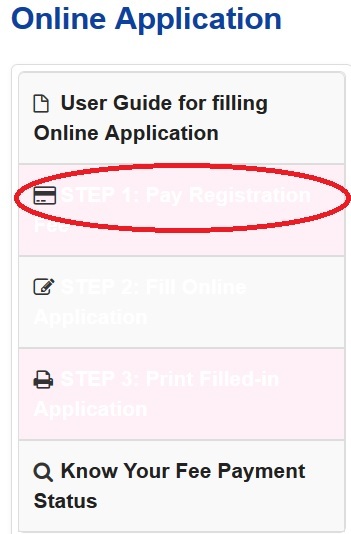 Step-1 : Pay Registration Fee – Candidate can make Online Fee Payment through this option. Step-2 : Fill Online Application – After Fee payment, either by Cash at TSOnline / APOnline Center or by Money Transfer by Debit/Credit/Net Banking modes, Candidate can fill in the Online Application through this option. Step-3 : Print Filled-in Application – After Submission of Application, Candidate can print the Submitted Online Application. Candidate can check Success/Failure status of their Fee Payment. A candidate can check his payment status here by providing Qualifying Exam Hall Ticket Number, Mobile Number, Date of Birth and Stream. (1) TS EAMCET 2019 will be held in 18 zones spread in Telangana and AP. It consists of 5 zones in Hyderabad, 10 zones in rest of Telangana and 3 zones in AP. (2) During the submission of TS EAMCET 2019 Online Application Form, the candidate can select the required TEST ZONE of his choice and once chosen, any request for change of TEST ZONE will not be entertained. (3) Candidates cannot submit more than one Application either for ‘E’ or ‘AM’ or ‘E & AM’ category. If any candidate submits more than one Application for one category, the Convener reserves the right to accept any one of them or reject all the Applications.